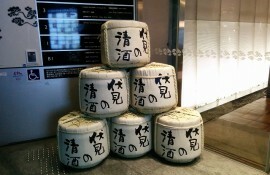 Come and enjoy a sake tasting! 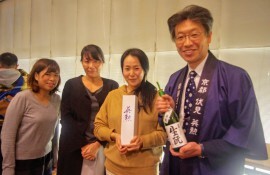 Kyoto City was the first municipality in Japan to enact a city ordinance to Promote the Proliferation of Kyoto Sake, Kanpai Jorei, on January 15, 2013. 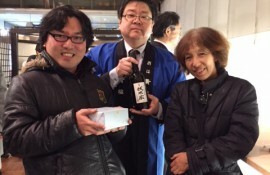 Kyoto's Fushimi ward, which is home to many sake breweries, is one of a number of locations throughout the country which are known for their sake. 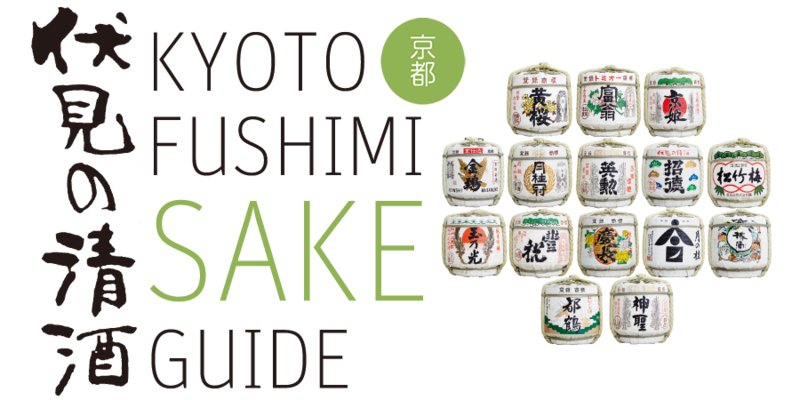 The ordinance was put in place with the aim of promoting a deeper understanding of Japanese culture through the prism of sake, as well as encouraging the enjoyment of sake-for instance using sake as the beverage of choice for the toast at the start of a gathering. occasion. We toast the relaxing of social rules, as we sense formalities are beginning to loosen. "Ladies and gentlemen, to your very good health and happiness..."
A hearty "Kanpai!" for the fine sakes of Fushimi! Don't drink and drive. The legal drinking age is 20. Drink appropriately. Drinking while pregnant or during breastfeeding can be detrimental to the health of your child.